Recreational facilities and events, such as ski resorts, charity cycling events and skate parks, commonly require participants to sign a liability waiver. 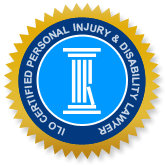 The purpose of a liability waiver is to protect the owners and organizers from liability and lawsuits if someone is injured while participating in the event. A well-written liability waiver warns of the dangers inherent in the activity and ‘assumption of risk’, and requires participants to sign, acknowledging that they are aware of the various dangers involved in the activity and that they surrender their right to sue if they are hurt. There are, however, some circumstances in which a liability waiver may not be enforced, such as, if a participant signed a waiver without understanding its intention or purpose. A liability waiver may also not be enforceable if the event/facility organizer misrepresented the nature of, and risks inherent in, the activity or event. Another reason why a liability waiver may not be enforceable is if the owner/organizer knew that the participant did not intend to be held to the terms of the liability waiver - under such circumstances, the owner/organizer has a duty to bring the specific terms of the waiver to the attention of the participant. Finally, depending on the circumstances of the accident and the wording of the liability waiver, if there was a dangerous condition created or allowed by the organizer/owner that caused injury to the participant and which could not be anticipated within the normal risks of a particular activity, then a liability waiver may be held unenforceable. A lawsuit arose recently, after a 62-year-old man sustained injuries to his leg in a rock climbing incident, at Rattlesnake Point Conservation Area. The injured man named several defendants in his lawsuit, including ‘Zen Climb’, the company that operates the rock climbing and rappelling course, as well as Halton Region Conservation Authority (HRCA), the owner of Rattlesnake Point. The defendants in the action brought a motion for summary judgement, in Arif v. Li (2016), to have the claim against them dismissed on the grounds that the plaintiff signed two waivers and voluntarily assumed the risks associated with the rock climbing course. The injured man was a supervisor for a pharmaceutical company and had immigrated to Canada in 1999. The plaintiff had never been rock climbing before he signed up for Zen Climb’s introductory rock climbing course, and had been encouraged to participate by his son-in-law and son, who also participated in the activity. The three men completed an on-line registration form which required participants to read and sign a Zen Climb Release of Liability, Waiver of Claims and Assumption of Risks and Indemnity Agreement. Upon arrival at the entrance to Rattlesnake Point, all visitors are required to pay an entrance fee. On the back of the fee receipt, there is an explicit warning that all participants must be made aware that their legal rights, including the right to sue or claim compensation following an accident, are affected by certain conditions, which are described in detail on the receipt. Specifically, the receipt warns participates that they “assume all risk of personal injury, death or property loss resulting from any cause whatsoever including, but not limited to off road cycling, rock climbing, swimming, all other permitted activities, travel within or beyond the Park boundaries, or negligence, breach of contract or breach of statutory duty of care or breach of the Occupiers’ Liability Act on the part of The Halton Region Conservation Authority, its employees, agents…”. The plaintiff acknowledged that he received the receipt but stated that he did not see the reverse side of it, which includes the waiver. There was also a 18X24 inch posted notice at the entrance to the trailhead which warns users of the exclusion of liability and assumption of risk, but the plaintiff did not remember seeing this notice, as well. After entering the park, the course participants met in a parking lot where they were given the Zen Climb Release and Conservation Halton Release, which they were asked to read and sign. They were then provided with helmets and a harness. At this point, the organizer gave the group a ‘safety talk’, warning them of the inherent dangers and risk of injury for the activity. They were also told that it’s important for everyone to watch out for their own safety and further, that they all have a right to refuse to participate in an activity that they feel is unsafe. The plaintiff, his son and son-in-law signed the two releases; they did not appear bewildered or ask the organizer any questions, which led the latter to assume they understood the documents they signed. The plaintiff gave evidence that he did understand that the documents, titled ‘Individual Waiver of Public Liability’ were a waiver of liability, but he stated that he believed it applied only to liability for anything that happens beyond the organizer’s control and not for events or injuries that are within his control. The plaintiff also testified that he read some, but not all, of the Conservation Halton waiver and did not find any part unclear. The accident occurred while the participants were preparing for a second climb. The organizer suggested that the plaintiff climb an easier route which was located a short distance from the demonstration site. During this second climb, the plaintiff’s son was acting as his belayer, when the plaintiff lost his grip and fell about two metres, resulting in injury to his right leg. The plaintiff argued that there was gross negligence on the part of the defendants, and at the outset of the motion, the plaintiff was granted leave to amend his Statement of Claim to plead gross negligence. The plaintiff provided affidavit evidence by a purported rock climbing expert which contended that the course organizer’s actions were ‘markedly below industry best practices’. However, the motions judge was not convinced that the rock climbing expert’s affidavit provided relevant evidence and he found that the releases signed by the plaintiff included negligence (which in turn includes gross negligence). Further, the affidavit was delivered well after the deadline for filing responding material and the plaintiff did not have a reasonable explanation for the late delivery. This action largely rested on whether the plaintiff is bound by the terms of the releases (liability waivers) and whether they cover the plaintiff’s claim. The plaintiff did not suggest that the defendants misrepresented themselves or that he was induced to sign the waivers by a misrepresentation made by the defendants. There was also no dispute that the plaintiff understood that the two documents he signed were liability waivers. In deciding on the issue of whether the plaintiff is bound by the releases, the judge referenced Karroll v. Silver Star Mountain Resorts Ltd. (1988), where the Ontario Court of Appeal relied on the following two tests: 1) whether, in the circumstances, a reasonable person would have known the plaintiff did not intend to agree to the waivers he/she signed; and 2) whether the defendants failed to take reasonable steps to bring the content of the waivers to the plaintiff’s attention. On these questions, the judge was not convinced that the defendants knew or ought to have known that the plaintiff did not agree to the releases, based on the fact that the defendant was provided with several opportunities to understand the release of liability and he did not ask questions or appear rushed or confused. The judge also concluded that the Releases were not unconscionable and that the defendants “clearly satisfied the requirement to take reasonable steps to bring the content of the Releases to the Plaintiff’s attention”. For all these reasons, the judge held that the plaintiff was bound by the terms of the Releases. Contrary to the plaintiff’s argument that the defendants were guilty of gross negligence and that the Releases do not bar a claim in gross negligence, the judge found that the Conservation Halton waiver was unambiguous and covered all causes of action, including statutory liability and negligence. The judge did not perceive ‘gross negligence’ as a separate cause of action from negligence. Accordingly, the judge concluded that the Releases do, in fact, cover the plaintiff’s claim. In consideration of all the evidence, the judge granted the defendants’ motion for summary judgement and dismissed the action against them. Any time that you are required to sign a liability waiver or release, even when engaging in activities not perceived to be dangerous, ensure that you fully read and understand the contents of the waiver. However, if you become injured due to an unsafe condition or a potential act of negligence, whether or not a liability waiver was signed, call an experienced Oakville personal injury lawyer to discuss the unique circumstances of your case and find out if you have legal grounds for a negligence action.